Welcome to our website. I hope you find it useful, informative and easy to navigate. 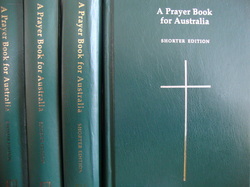 “A Prayer Book For Australia”. Our style of worship has a strong focus on the Sacraments and the beauty of holiness revealed through the dignity and ceremony of our worship. Our principle act of worship is the Eucharist, which lies at the heart of all that we do and provides the foundation upon which our ministry and mission sits. At St. Katherine’s in McCrae we use 'Order 1' from "A Prayer Book For Australia" which is a service similar to that you will find in the Book of Common Prayer, but with modern language. We sing hymns each Sunday morning during this service. At All Saints in Rosebud we use 'Order 2' from "A Prayer Book For Australia" which is the form of service widely used in Anglican churches. Again we sing hymns and a setting for the Eucharist. There is also a said Eucharist at All Saints each Wednesday at 10.30 – 11.00am. 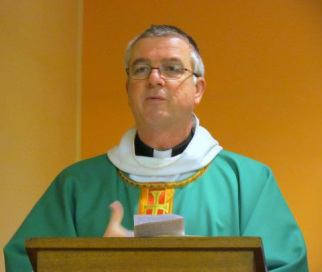 As a parish in a popular holiday area we are used to visitors joining us. Whether you are here on holiday, or as a day visitor, or if you are looking for a church community to worship regularly in, you would be made to feel most welcome to join us for worship and fellowship. We’ll even throw in a cuppa and biscuits after the service.